My work week has ended at 6am this morning, so I checked out of Sunway to move to a more budget friendly accommodation. I’m now in my room at the Hutton Lodge, a beautifully restored colonial-style house. Ironically, despite the huge price difference, my Internet connection here at Hutton (wireless, very low reception) is heaps better than my Internet connection at Sunway (wired). Still, rather than regret the amount I spent, I just tell myself that here at Hutton, I don’t have this view outside my window. I had plans to go walking around the area today, to head to the places I missed earlier this week, but I opted to stay inside instead. Despite the ominous clouds that threatened to pour buckets of rain this morning, the skies cleared and I finally have the blue skies I’ve been hoping for. Unfortunately, that meant sunshine, and lots of it. I’m not opposed to getting some much needed vitamin D, but walking under the heat is just not right. Besides, I was able to get a lot of walking done the past two days, when it was overcast (and very pleasant to walk around town). On Wednesday I walked from Jalan Macalister all the way to Lebuh Farquhar, where the Penang Museum is. I never really intended to walk the entire distance, but there’s plenty to see around Georgetown that you find yourself wanting to walk just a little bit further to see what the next corner brings. There was still 15 minutes before the clock strikes 5pm, but the guys inside the museum has already closed shop for the day. I just continued walking, turning down Jalan Masjid Kapitan Keling, passing St. George’s Church, Kuan Yin Temple, and of course, the Kapitan Keling Mosque. The following day, I went back to check out the other places that I missed. 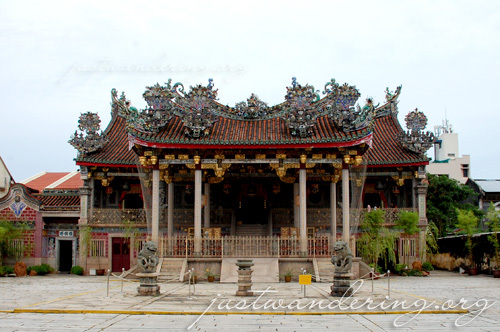 There are several other attractions in the area, like the Sri Mariamman temple, Teochew temple and the Cheah Kongsi, but it was the Khoo Kongsi that I was aiming for, since it was highly recommended. Like the day before, I arrived a quarter till five, but this time, the guards still let me in. The clan house is set away from the street, requiring you to go down a small street to enter. 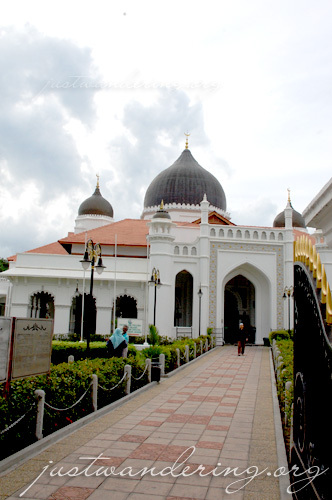 It’s also not visible from the main street (Lebuh Cannon), so people often miss this magnificent treasure. The upside to this is that it’s not as crowded as the others (or maybe it’s just because I arrived just before closing). There was only one group inside the temple when I arrived, and to avoid them, I went to the museum first. True enough, by the time I was done with the exhibit, I had the place all to myself. 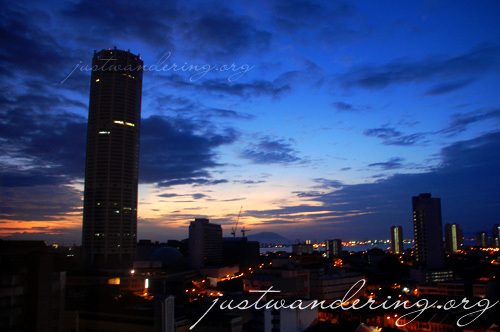 I still have two more days in Penang, and there are still places that I wasn’t able to visit. I don’t feel the need to see and tick off all these places from the list though. Frankly, I’m happy enough just being able to come back and take my time exploring this beautiful city. I miss Penang… Babes love this place so much; ako naman, I love the Hokkien Mee so much!!! What a mix of cultural influences in the architecture.